• Plus final LIVE performance at Smiley's Acoustic Cafe in downtown Greenville! 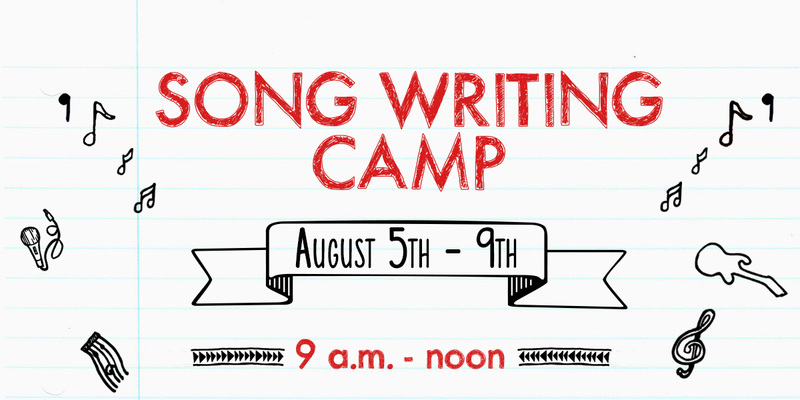 Led by Greenville's greatest musicians, our Song Writing Camp will help campers understand how to write their own songs, tips on performing live, and will even record their original creation. The full week costs $150 or campers can choose particular days at $40 per day.